You have ignored persistent Linux myths 5 Lies Linux-Haters Like To Tell 5 Lies Linux-Haters Like To Tell Linux may have been a scary operating system before, but all of that has changed in recent years. These myths, which are more accurately called lies, are now dead. Read More and decided to give Linux a try. How do you ensure that your transition to the new OS is smooth? Stick to the following five rules and you should do just fine. It’s time to get over your fear of failing at Linux How to Get Over Your Fear of Failing at Linux How to Get Over Your Fear of Failing at Linux Do you have questions about switching to the world of Linux? If you read this from start to finish, you'll have plenty of answers and tips to succeed at Linux. Read More . My introduction to Linux was enjoyable thanks to my easy switch from Windows 7 to Elementary OS Luna Why I Switched From Windows 7 to Elementary OS Luna Why I Switched From Windows 7 to Elementary OS Luna Bye bye, Windows. Hello, Linux! Here's what convinced me that eOS Luna is a better bet than Windows 7. Read More . Not all new Linux users are lucky that way. If you encounter glitch after glitch the first few times you use Linux, it can put you off Linux for good. It’s important to begin with a distro that aligns with your personal computing requirements Switching To Linux? Here's How To Choose The Right Distro Switching To Linux? 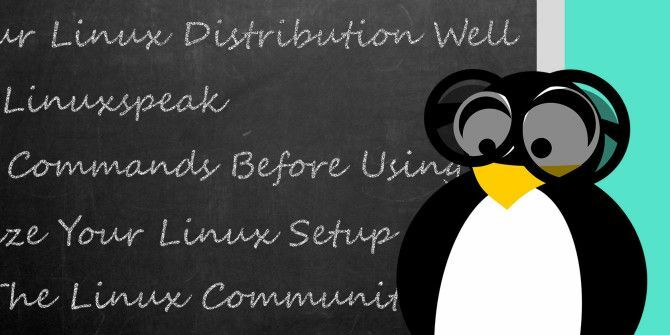 Here's How To Choose The Right Distro Your first Linux distribution can sweeten or sour your future Linux experience. That's why it's important to get that debut choice right. Read More . We have many resources to help you make a decent choice, based on whether you want to migrate from Windows/Mac The Best Linux Distros for First Time Switchers From Windows and Mac The Best Linux Distros for First Time Switchers From Windows and Mac Linux has an intimidating image, making it seem like it would be difficult to start using it. But the switch from Windows and Mac is actually pretty easy, if you can ease yourself into it. 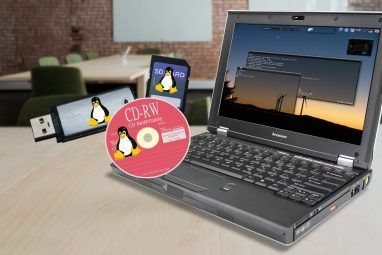 Read More , run Linux on an old laptop 13 Lightweight Linux Distributions to Give Your Old PC a New Lease of Life 13 Lightweight Linux Distributions to Give Your Old PC a New Lease of Life These flavors of Linux are light on CPU and RAM, meaninig they run great on older and weaker devices! Read More , etc. Before you switch to Linux though, go through this Should you use Linux? checklist. The right distribution can make your Linux experience sublime. You might need to experiment a bit before you decide on a distro you like. But with various simple and risk-free options to try Linux Curious About Linux? 5 Easy & No Risk Ways To Try Linux On Your Windows PC Curious About Linux? 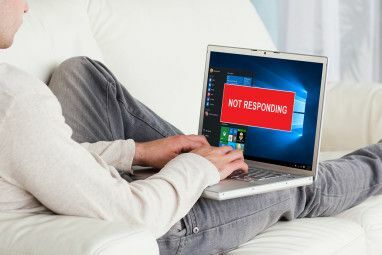 5 Easy & No Risk Ways To Try Linux On Your Windows PC Want to check out Linux, but fear you might wreck your existing Windows installation? Don't. 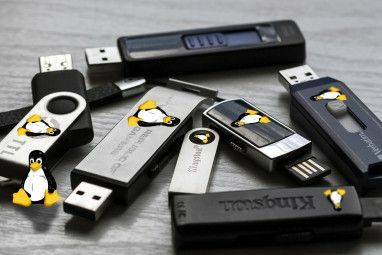 There are plenty of risk-free ways to try Linux, from live CDs to USB keys to virtual machines. Whether you're... Read More , there’s no excuse not to find something that works for you. Faced with distro indecision? This cheat’s guide to choosing a Linux distro Distro Indecision: A Cheat's Guide to Choosing a Linux Distribution Distro Indecision: A Cheat's Guide to Choosing a Linux Distribution This guide is all about how to pick the right distribution, and how to test them before you actually commit to using it, arguably one of the most difficult steps in getting into Linux. Read More will help you overcome it. Modern Linux systems work fairly well right out of the box. Sure, you might have to deal with hardware incompatibilities or find Linux replacements for your favorite software. But, for the most part, you don’t need to know much Linux-specific terminology Is Linux Confusing? Here Are The Key Terms You Need To Know Is Linux Confusing? Here Are The Key Terms You Need To Know These days, Ubuntu and other modern Linux distributions usually install without a hitch (and without requiring any knowledge), but as you move forward using them, you will inevitably come across all sorts of terminology that... Read More to use the OS itself. As your Linux usage increases, you’ll come across several terms and resources that will pique your curiosity. What’s this sudo command everyone keeps talking about? What’s the Linux kernel The Linux Kernel: An Explanation In Layman's Terms The Linux Kernel: An Explanation In Layman's Terms There is only one de facto thing that Linux distributions have in common: the Linux kernel. But while it's often talked about, a lot of people don't really know exactly what it does. Read More ? What’s a desktop environment What's The Difference Between Linux Desktop Environments? [Technology Explained] What's The Difference Between Linux Desktop Environments? [Technology Explained] If you've been introduced to the world of Linux, it probably didn't take too long to notice that it doesn't have a single "face". Linux can sport all kinds of desktop environments, or none at... Read More ? Take the time to explore such topics and familiarize yourself with Linuxspeak. This will make troubleshooting easier. Along the way, you’re sure to learn useful shortcuts and stumble upon some excellent Linux apps Linux Treasures: 11 Sublime Native Linux Apps That Will Make You Want To Switch Linux Treasures: 11 Sublime Native Linux Apps That Will Make You Want To Switch Why should you use Linux? To use some of the best applications made for any platform. If you don't believe me, here's a list of great Linux apps. Read More . You’ll also discover quirky Linux commands 9 Quirky Linux Commands You Need to Know (And Will Love) 9 Quirky Linux Commands You Need to Know (And Will Love) Make ASCII art, talk to your computer and play text adventures. Your Linux command line isn't just for work: it can be weirdly entertaining, if you know the right commands. Read More and tricks such as how to install Linux on a Chromebook How to Install Linux on a Chromebook How to Install Linux on a Chromebook Do you need Skype on your Chromebook? Do you miss not having access to games through Steam? Are you pining to use VLC Media Player? Then start using Linux on your Chromebook. Read More . In some cases, the Linux command line can be lethal 9 Lethal Linux Commands You Should Never Run 9 Lethal Linux Commands You Should Never Run You should never run a Linux command unless you know exactly what it does. Here are some of the deadliest Linux commands that you'll, for the most part, want to avoid. Read More . But that’s not to say you should not use it at all. There are easy and safe ways to learn command line usage 4 Ways to Teach Yourself Terminal Commands in Linux 4 Ways to Teach Yourself Terminal Commands in Linux If you want to become a true Linux master, having some terminal knowledge is a good idea. Here methods you can use to start teaching yourself. Read More (begin with these 40 essential Linux commands An A-Z of Linux - 40 Essential Commands You Should Know An A-Z of Linux - 40 Essential Commands You Should Know Linux is the oft-ignored third wheel to Windows and Mac. Yes, over the past decade, the open source operating system has gained a lot of traction, but it’s still a far cry from being considered... Read More ). Exercise a little caution while using the terminal, though. Before copy-pasting a command shared by any random source, do a Web search to see what it does and how it’s supposed to work. Look to reputable sources for information on commands before running them. To figure out what a specific command does, type man in the terminal followed by the command. This opens a manual that describes what you can use the command for and what parameters it requires to function correctly. For example, here’s what you get when you type man and the command rm. Deciphering what the manual says may not be easy, but it gives you pause for thought. That’s a good thing when you’re dealing with terminal commands. List tweaks that could make your workflow simpler and improve your Linux experience. Now search for how-tos and tips to make those changes 12 Useful Tweaks To Make Ubuntu Feel Like Home 12 Useful Tweaks To Make Ubuntu Feel Like Home We'll show you some great tweaks that can go a long way to achieving desktop zen. Read More . For example, try finding a way to dock any app to the system tray. Of course, be sure to back up your data 5 Great Cloud Backup Tools & Services That Fully Support Linux 5 Great Cloud Backup Tools & Services That Fully Support Linux If you ask any power user for one good piece of advice that applies to any operating system, it would be to back up your files regularly. As much as technology can be helpful, it... Read More before you go about implementing any hacks. A friendly and active community of users and developers keeps the Linux platform going. Visit Linux forums, blogs, and YouTube channels 4 YouTube Channels Linux Enthusiasts Should Follow 4 YouTube Channels Linux Enthusiasts Should Follow Ever since YouTube became a big hit, finding great videos on the topics that you are most interested about was easier than ever. If you are a Linux enthusiast who wants to find good channels... Read More to stay up-to-date on security flaws The Linux Ghost Flaw: Everything You Need To Know The Linux Ghost Flaw: Everything You Need To Know The GHOST vulnerability is a flaw in a vital part of every major Linux distro. It could, in theory, allow hackers to take control of computers without the need for a username or password. Read More , technical fixes, cool tricks, and news about the latest distros. Can’t find the right software? Hardware not working? Have a noob question? Feel free to ask for help on popular forums like LinuxQuestions and Ask Ubuntu (distro-specific). You’ll find that your fellow Linux users are quite thorough with their answers. To be on the safe side, triple-check any information you receive. Getting used to the Linux way of doing things will take some time. If you want to get there faster, here are some shortcuts for learning Linux in record time 11 Shortcuts For Learning Linux In Record Time 11 Shortcuts For Learning Linux In Record Time If you'd like to learn Linux, but want some ways to speed up the process, here are ten shortcuts you can use to learn as fast as possible. Read More . You can sidestep major problems and feel at home in the Linux environment with the steps listed above. Someday in the future, when you’re reading about rookie Linux mistakes 10 Mistakes That Make You Sound Like a Rookie Linux User 10 Mistakes That Make You Sound Like a Rookie Linux User How can you tell when you're not a Linux rookie anymore? Check out these mistakes rookies make, and see if you've made any of them recently. If you have, don't worry! Read More you’ll realize that you don’t make any of them. That’s how far you have progressed! What’s the biggest problem you’re facing as a new Linux user? Share it in the comments section. Maybe we or one of our readers can help you fix it. Explore more about: Command Prompt, Linux Distro, Terminal. 6 Essential Apps for Photographers on Android and iOSSpice Up Your Cinnamon Themes – It’s Easy! I've already install Elementary Luna before to Linux mint, arch linux & Ka-OS (really extremely for newbie), Ubuntu than back to Elementary OS Freya. I have problem on Luna when my wifi and LAN can't connected, than on Elementary OS Freya its all fix (yey! Love it). And now I love Linux Distro :) maybe any advice for me as a newbie user? IMHO... Porteus is a winner. It's fast... secure and feature rich. It is basically an OS that can make an OS. Don't listen to the Linux naysayers. ANY O/S, even Windows, takes some time to learn. Nobody is born knowing an O/S. I'm recently Linux+ certified, but still used that "other OS"....Until now. I got a nasty virus (that is STILL not completely cleaned out....) while deployed, and switched. DEFINITELY agree with do your homework and pick the right distro. I landed on Elementary as well, and absolutely love it. It is clean, fast and straight forward, and has the infinite support of Ubuntu (without the annoying Unity desktop). I still have a Win7 partition, because there are a few things it's just easier to do in Windows. but, every time I load it, it takes bout 30 seconds to have me cursing at my screen, and waiting to reboot. Great advice! Thank you, Jay :) which other distros did you try before going with Elementary? What didn't you like about them? Ultimately, my problem is that I'm lazy. LOL I tried Ubuntu, but can't stand Unity. I tried Lubuntu, but networking was more work than I wanted to do. I tried Suse, and it was ok. I tried Fedora, same. I tried Mint, and it was ok. I've tried Mandrake (and now Mandriva), same...ok. Several other Ubuntu based (Like Zorin). Puppy. (I really like the idea of Puppy, but as I said...I'm lazy.) PCLinuxOS (Liked the look, but it ran slow on my hardware.) I'm eagerly awaiting the Simplicity team getting a 64 bit version rolling. (as it's based on Puppy, which again..I like.) At the end of it, I stuck on Elementary because it's clean, fast, and easy to configure and use. 95% of everything I do worked immediately after install. The (literally) four things I've had to configure were easy sudo commands. The (maybe) five programs that were not in the Ubuntu software center were easily installed, with directions online. (Skype, for example.) I absolutely love how they handled the Applications menu. no bells, no whistles. Just does what it is supposed to do, without any extra overhead. Been running Freya for almost a month, and unless Simplicity blows me away, I'll likely be an Elementary guy for a long time. I've even told the wife (who doesn't like Linux, because it's "different" and "hard") that I have one I like, and will likely keep it loaded when I get home. (And, have the tools to rebuild a hard drive properly.) I could not recommend Elementary highly enough for anyone that wants to leave the proprietary OS world behind. When I get home, I'll have my desktop in Windows, as we use it for gaming, and I'm too lazy to sort out PlayOn and WINE. But, my laptop, which is used almost exclusively for email/facebook/Skype/etc....Will stay Elementary, in all likelihood. (And, I'll probably reformat, and remove the Win7 partition I have on it now, when I have other ways to do things that require Windows.) Later! Wow, that's quite a few distros you have tried. I have been meaning to try Simplicity as well, but eOS has been working so well, I'm in no hurry to experiment. I am absolutely not smart enough for for Linux but I have played with it for years and now I have had Linux mint for a daily driver for awhile. The thing to keep in mind is Linux is open source so it is your system to tweak to a deeper level then a closed source OS so your system is breakable. That simply means you should be careful when you poke around and please keep a backup of sensitive documents and photos, of course a good backup, no matter what OS is only wise. The thing that drew me to Linux was it was different, the thing that keeps me is the outstanding efficiency of Linux. Backing up sensitive data and not being afraid of making mistakes = best way to learn. Sound advice there, George. I think another great way to learn is burn an Ubuntu derivative to a USB drive with persistence using Unetbootin. I use an eight gig USB drive which will give you 4 gigs of persistence. Then I increase the size of persistence to include the whole 8 gig drive. Now I can play all I want, and if I mess up, just reformat and burn the USB key again. 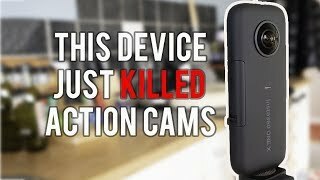 This helped me explore other distros, learn to get video working, and set up VPN connections, without damaging my hard drive installation. It will be slower than a hard drive install, but I try to keep distros I use under 1 gig, and have actually found the Mate desktop to work the fastest. Seems to beat LXDE and Xfce for speed. I still haven't quite succeeded on installing Linux on my hp pc, but I messed around with it on my Samsung Chromebook enough to get an idea and to want an Intel CB, which I now have--an ASUS 300 32G/4G RAM, so now I can have Ubuntu Unity on it with no problems. Chromebooks are great for learning Linux because if something screws up, you can powerwash the CB, it will wipe the borked Linux, but all your Chrome preferences, which are stored in the cloud, will come back when you reboot. Then you can start over with the Linux install. In other words, if you're afraid of messing up a Windows PC, which is possible, get a cheap Chromebook to learn Linux. Although I have gotten some help from my city's local Linux group, much of what I've learned came from YouTube videos and the Linux-oriented websites that I've found out about. I use Crouton on the Chromebook and have gotten all my questions answered on the Crouton Users Google + group. If you're a generally curious person who longs for better aesthetics than Windows offers, Linux offers more choices than you can imagine. BTW, I'm 60+, an old English major, and retired, and I got the guts to learn Linux. You young'uns can certainly do it! Of course, back in the olden days, I did have to use a few DOS commands at one job, so the terminal is not scary to me. The major thing I've had to adjust to is the difference in dowloading software, but Linux's package method makes me feel safer because I get stuff either from the Ubuntu Software Center or Noobslab or Webupd8 or some other Linux resource; with Windows, you're always having to trust individual websites to not be compromised. The Linux method of aggregating packages in repositories means that it's harder for individual software programs to be targeted by nefarious hackers, I think. If you use the software center, check the reviews and the dates of the reviews because once updates occur, the way the software works, or if it works may change. Don't be afraid! Great story! I'm glad to know there are "old-timers" out there not afraid of Linux (said the 50-year-old!). I'm curious to know whether Ubuntu will continue to be your distro of choice if you install Linux on your HP PC. Set up your Linux system with your /home partition separate from your root (/) partition. In case you do decide to switch distros, you will not have to recreate your /home partition, You'll just install the new distro into the / partition. Good advice, and it makes a fresh installation simple as well, in the event it becomes necessary. Respectfully disagree, when I've tried using existing app & system configs on other distros it's blown up in my face. Good point, dragonmouth. I did have to learn that lesson the hard way. Danny's article came to my rescue when I did a fresh install.